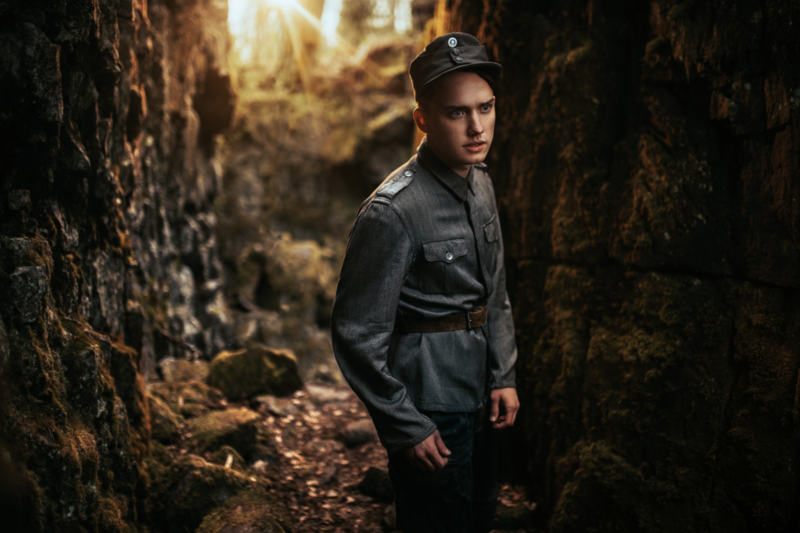 I rented this awesome WW2 soldier outfit for this photoshoot. The goal was to create something really cinematic but nothing too over the top kind of stuff with explosions and guns. Something more simpler. To create this look, I used two flashes. The key light on the right was Godox V860II + Elinchrom 70cm deep octa. Then I wanted some sunlight behind him to create more depth to the background so I placed a Godox V860II + orange gel behind him. The orange gel made the bare speedlight look like an settling sun. A great concept and shot!